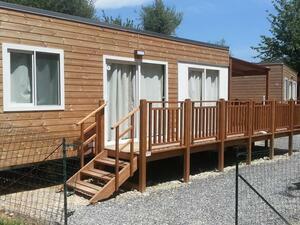 Discover the comfortable and modern Mobile Homes at Camping dei Fiori, your vacation village in Pietra Ligure. 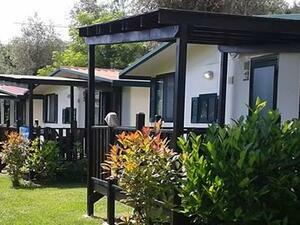 If you are looking for a vacation village in Liguria with mobile homes equipped with every comfort, come and discover our four types: Alloro, Charming, Next and Olives. Mobile homes are all equipped with a covered veranda, double rooms, living room, kitchenette, satellite television, air conditioning and private bathroom with shower, ideal for groups and families from 4 to 6 people. Designed for those who love peace in contact with nature, without giving up all the amenities.